There are four cases we�re particularly excited about at justCASES right now. You can see them all below. Pelican has just released a new case: the 1730. This is a monster of a case, definitely in the Xtra Large category: 34x24x12.5. 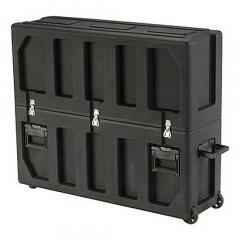 This is a classic trunk style case with plenty of room. Sean thinks this will be a great case for moving lots of laptops. I think I will sell lots of them without foam, for people moving a variety of equipment. Check it out. 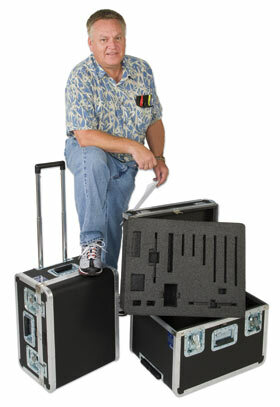 SKB has always been our first choice for shock mount cases. 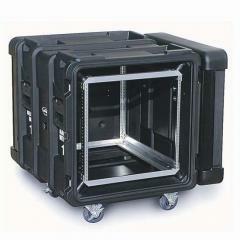 Their new case is a standard 6U case, but this one has wheels and handles. No need for a caster kit, and no need for 6 big guys to move it around. 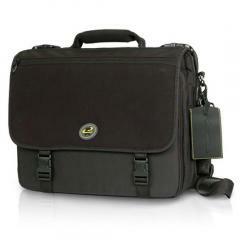 The Pelican 1495 Laptop Special is an amazing hard case for laptops. 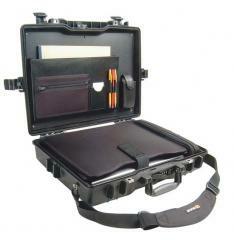 Usually Pelican cases are pretty utilitarian but this one is slick. This is the case James Bond would go for to keep his laptop safe. Highly recommended. 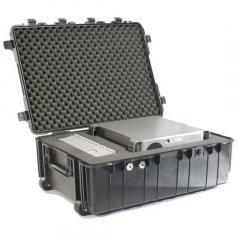 SKB also makes fantastic cases for keeping plasma screens safe. They�ve added a new model for smaller screens. Nice features with handles, wheels and the like. Super useful for those of you moving your fancy screens around the country.